I got this lovely package from Jolie containing green beauty goodies. Jolie is a finnish natural beauty concept with webshop and they sell amazing organic brands from different price ranges focusing still more in luxury brands. This time I will be reviewing products from Patyka, Iroisie, Little Butterfly London and absolution. I also have a discount code for all my finnish readers which you can check on the bottom! I’ve actually tried Patyka before. One of my favorite product ever is their precious woods body oil so I was happy to get to try more body products from the brand. The body scrub is really quite a regular body scrub and I don’t mean that in a bad way. It has big grains so it’s easy and quick to use on the body. It’s effective and leaves my skin smooth. It has a fresh marine scent which is quite typical in body scrubs I think. I like that the product comes in a tube rather than in a jar. The body milk is amazing. I fell in love with it. It’s thin and milky-like and absorbs quickly. It smells like Almond blossom which is apparently a heaven on earth. I was disappointed the scrub didn’t smell like this! I’m definitely gonna buy this in the future. It doesn’t even cost that much considering it’s a luxury brand. It’s about 26€. This product is beautiful – I absolutely love the pacakging! Little Butterfly London products are made for mothers, kids and babies. They suit sensitive even eczema prone skin. The gel works for both body and hair and it also works in bath. Oh how I wish I had a bath tub and could try this in there – maybe in the next home. This product felt really gentle yet it did make me clean. 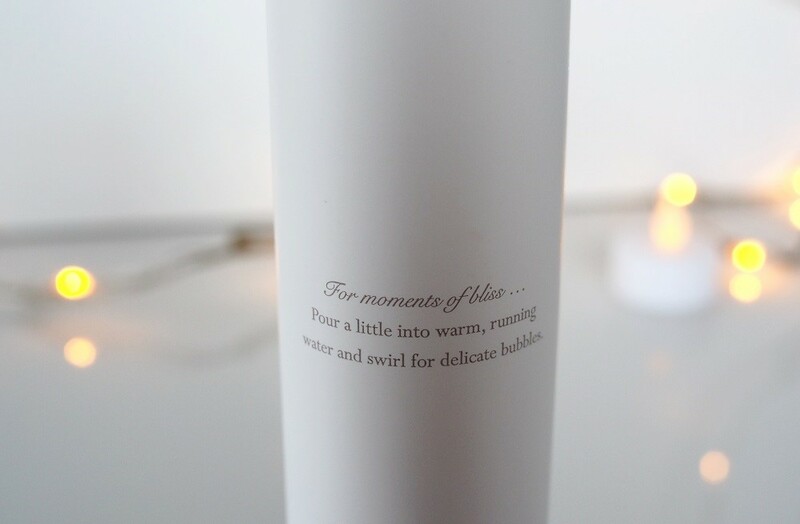 It’s scented lightly with orange and mandarin essential oils – just enought that you can smell it but not as much as the usual shower gels. I would definitely recommend this to – well mothers, babies and children of course – but also for sensitive or dry skin. My man’s goddaughter also tried this (8-year-old) she said that “it was great”. So there you have it. Isn’t this the most beautiful serum you have ever seen? So pretty with those golden details! 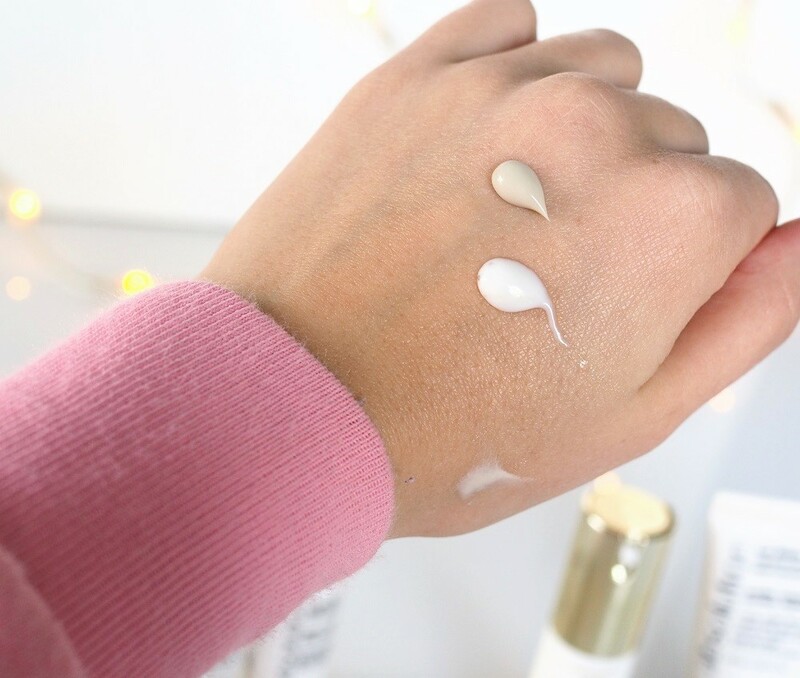 As you may guess this is quite pricey but it also promises to do all sorts of things: brighten, soften, moisturize and balance skin. It contains a lot of antioxidants which brighten and repair skin. 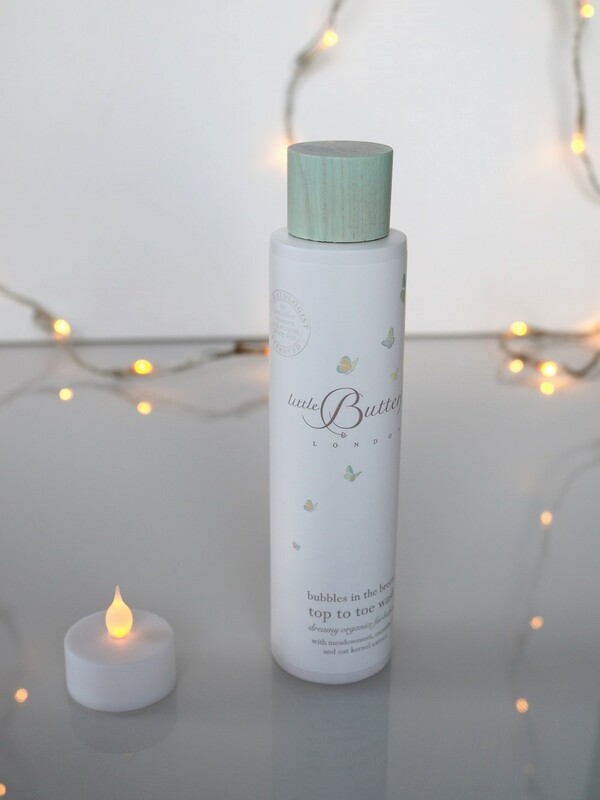 Sea weed and natural oils nourish and protect and Ylang ylang balances skin. I love the scent which is mainly from the Ylang Ylang. 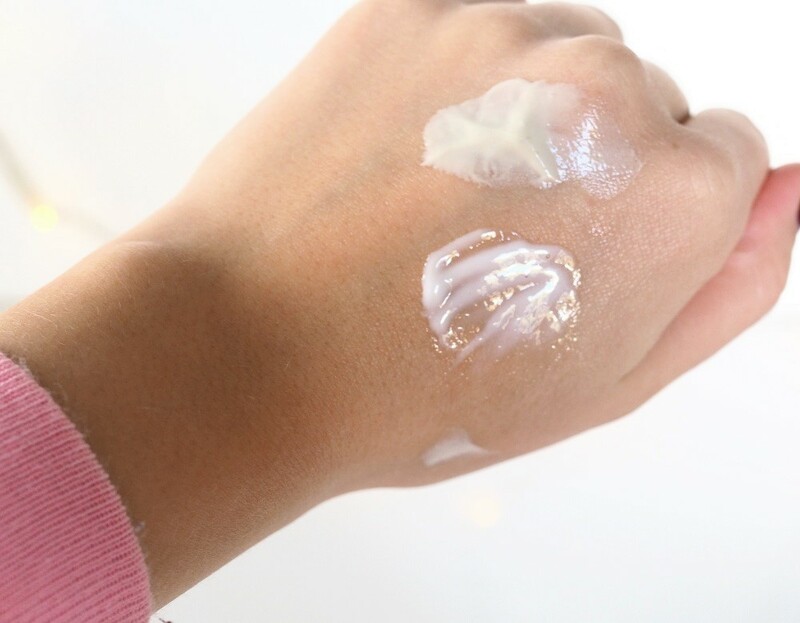 The serum comes out in a milky lotion but it melts quickly into oil. It’s quite rich and one drop is enough for the whole face. I would recommend this to mature, dry or normal skin. This product is also suitable for vegans. I had high expectations towards this product since I had heard good things about it. Also I had run out of my purifying mask so this came in just at the right time. The packaging and the top is quite unusual: you twist the top and the product comes out of this small hole. At first it was a bit of a puzzle to figure out but the system is actually quite handy. 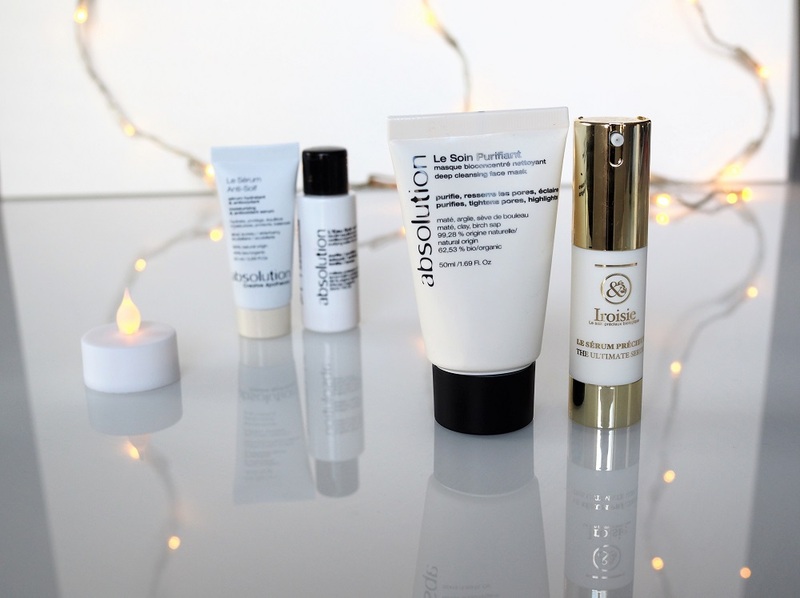 You get just the right amount of product and the tube stays surprisingly clean. This mask is deep cleansing and brightening mask that balances the sebum production and tightens pores. It contains white clay, cooling peppermint and willow extract that has naturally salisylic acid in it. White clay is suitable for sensitive skin so even though this is purifying it’s definitely also moisturizing and suits all skin types. 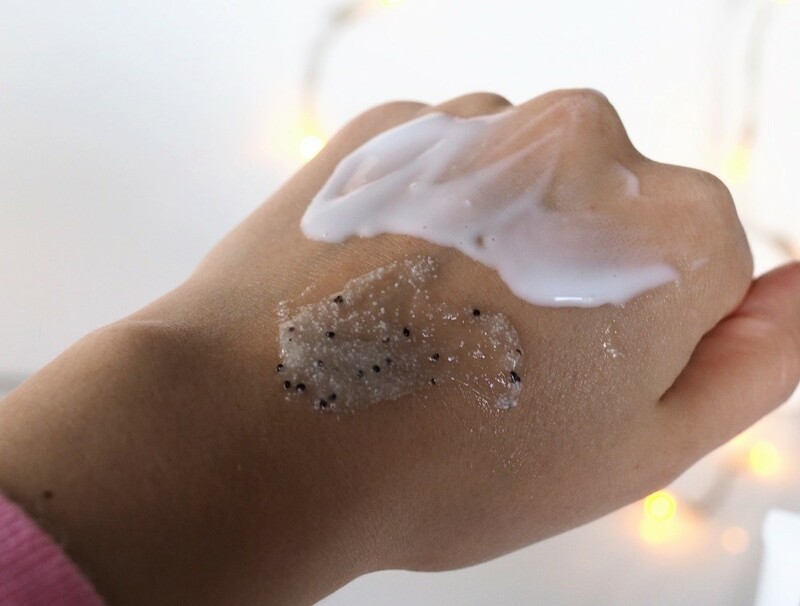 The mask is creamy rather than thick and when it dries it doesn’t tighten skin unpleasantly. I love this mask! 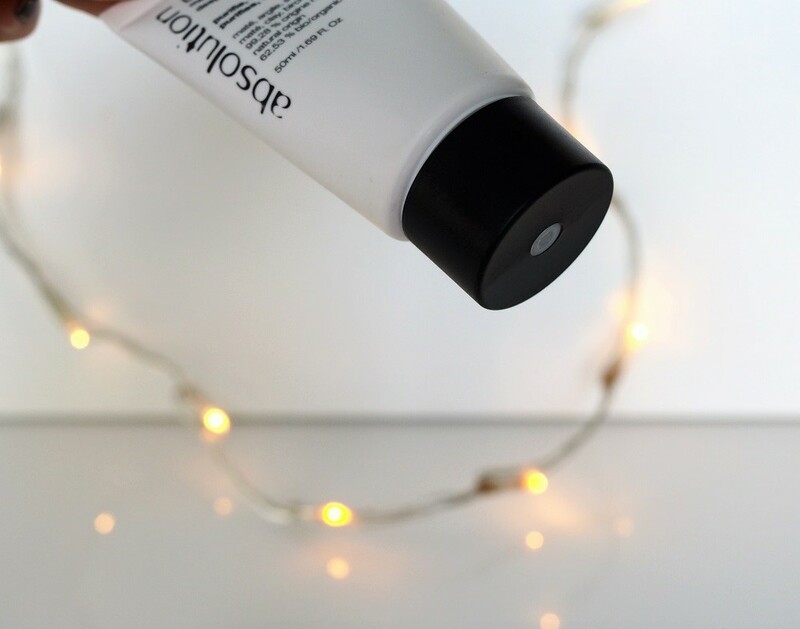 It’s a great choice for dry yet oily skin especially for Autumn and Winter. The price is about 30€ which is an okay sum to use for an effective product. It’s also vegan. 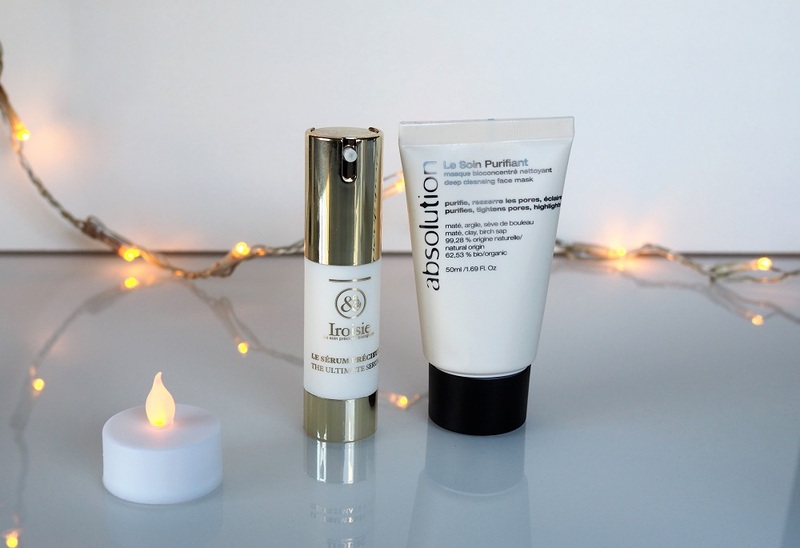 Iroisie serum & Patyka mask. The discount code for Jolie.fi is “charlottaeve” and you get -15% from your order (excluding May Lindstrom Skin, Pai Skincare, Kjaer Wais, gift cards, Jolie boxes). It’s valid until 23.9.16.